The original motivation for this show was the threat in 2010 to the Mariner’s Medical Arts Complex in Newport Beach, (still at risk). In 2016, we have the threat to several of our buildings at Orange Coast College, where the Board there has declared itself ready to destroy about three of the rare examples we were able to get built there in the early 50s Why? Not to build on their sites, but “to clear the center of the campus for a green area!” or for parking. This is all scheduled for some time this year. Aside from individual letters to the college, we’ve come up with a petition whereby you can sign, making any remark you care to, about the value to history, to have these examples survive. This would appear to be one of our last hopes; would 1000 signatures sufficiently impress these folks to pressure them to change course? In the late 50s, the Neutra and Alexander firm was selected to design what became the signature example of a National Parks Visitor Center. 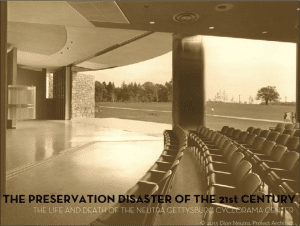 The one for Gettysburg, Pennsylvania became the darling of Richard Neutra together with his architect son, Dion, who acted as Project Architect, throughout the preparation of documents and later during construction, which was finished and dedicated in 1962. A photography exhibit and opening reception with the artist JOSELLE CELINE and the architect DION NEUTRA. Saturday evening, October 4th 7:00-10:00PM. We had a great turnout for our inauguration on August 21; 250 people at peak! While sales and donations were good, we’re going to need to keep the momentum going financially in order to make this museum/gallery on ongoing reality for the community. Thank you for all the support shown. Our 1958 Connell house in Pebble Beach is in jeopardy! Funds are still needed to complete its nomination for National as well as State Monument status. The hope being that such would convince the current owner to move on, and find another site for its McMansion! Everyone; let’s join and pledge $10; more if you can! $3000 needed NOW! The recently demolished Samuel and Luella Maslon House in Rancho Mirage, California. Built in 1962 by modernist architect Richard Neutra. Von Sternberg Residence: early 30s example of pioneering modernist design by Neutra. Destroyed in 1972 because of management issues and ultimately to house tract of houses. Neutra designed Cyclorama building at Gettysburg, Pennsylvania demolished 2013. Watch the video below of the $100,000,000 Sho Hondo Buddhist temple erected to last 1000 years in early 70s destroyed in 1998 because of displaced egos in religious community. The Sands, Las Vegas: early example of Wayne McAllister design removed to make space for larger and more profitable hotel with no history. Laemmle Building; Hollywood and Vine; 1934. Drastically altered starting about 1940; might as well have been demolished. Was finally lost in a fire in 2008. In Dion’s book ‘The North West Corner: Hollywood and Vine’ he proposes building a design he found that Neutra had rendered in 1926 for that same corner; an 8 story building called ‘the Hollywood Fashion Center’. That could replace the current surface parking lot there, with multiple levels of subterranean parking below. Fine Arts Building: Cal State Northridge University. 1961. Damaged by Northridge earthquake of ’94; destroyed in ’97 rather than repair. Pennsylvania Station, NYC 1915 McKim Mead and White . Destroyed 1965 Despite massive protests to build Madison Square Garden; itself being redeveloped as we speak, along with a new entrance to the subway station via a Library building across the street by the same architects. I got an E from the current owner of our ’57 Nash house in Camarillo. He had an offer he was considering that would tear down this house for a more favorable use of this site of several acres. At 770K, could I produce a better offer by ‘the end of the week’? This reminded me of just 50 years ago now; in 1972, I got a similar call regarding the von Sternberg house in the San Fernando Valley. I started to contact the AIA to see what could be done. Before I could get back to them, I heard the house had been demolished. Another similarity is our recent experience with the Kronish in Beverly Hills; again, the notion that empty land is more marketable than dealing with an icon. As of late 2016, we had evidence that this house has been restored albeit revised. No details of how, available yet. Site closed to public; owned by a shipping magnate. I wrote the Nash owner back immediately asking for a stay of execution, and put the word out as broadly as I could. What a difference a half century makes as far as that is concerned! As this week drew to a close, I had an indication that a realtor friend had produced an offer that had a chance of succeeding with a promise NOT to destroy! I remain guardedly optimistic that we may have dodged the bullet in this one, but there are at least a half dozen others that also hang in the balance. Check out my blog and our petitions to support some of them! As of late 2016, the Nash house was still intact, albeit saved with many interventions tolerated by the current owners who bought around 2013 and made some adjustments without consulting our office. As we pass days 200+ still now word as to what’s going on behind that shrouded gate. But at least no news of demolition. Does anyone know the status of Kronish? Time marches on, with more Neutra’s in crisis. I heard yesterday that the Kraigher House in Brownsville, TX, had fallen hard times. The University of Texas at Brownsville had entered into a lease with the City who owns the site. Under the arrangement they restored the house and were to use it as a visitor center. This worked for a couple of years. Now, I’m told because of budget problems, the University has withdrawn, leaving the house empty. The city, similarly challenged, has been unable to figure out how to occupy it. Transients are reputedly now breaking in and camping out; it will only be a short time before it is destroyed. This is my effort to put the word out to the National Trust and others. Can readers help me broadcast this to parties that might help? Surely the City could assign someone to conduct city business in that venue, at least temporarily? Closer to home, read a piece I just wrote regarding our Nash House in Camarillo. I’m hoping we may have dodged a bullet, but stay tuned?.There I was told I only had a few days to better a demolition offer; similar to what we experienced with Kronish, but instead of 60 days, I had only 3! Last year we celebrated ‘Neutra Practice at 85 weekend’ April 8-10, 2011. 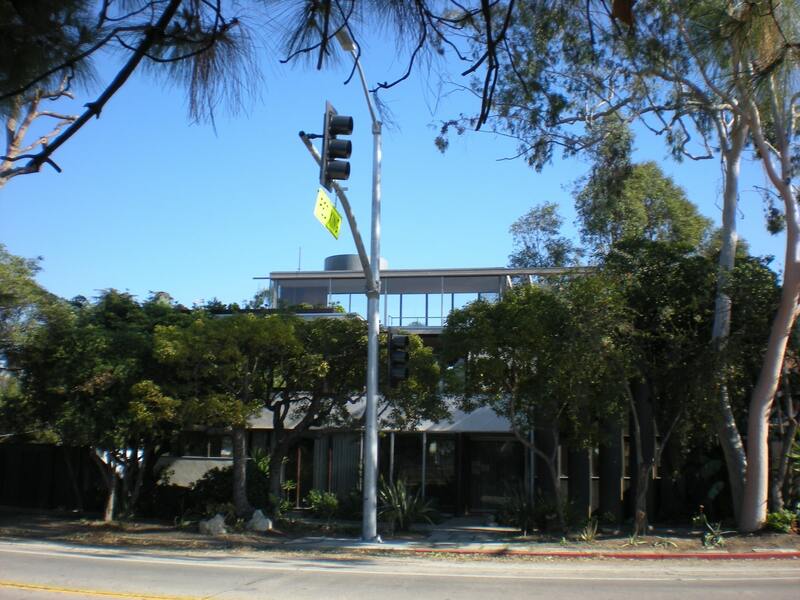 Richard Neutra founded this firm in 1926 while he was still living in the Schindler House. Shortly thereafter, came the birth of his second son, Dion. At about this time, he was working on his first major project the Jardinette Apartments (1927) in Hollywood. A couple of years later, the Lovell Health House (1929). After a distinguished 40 years, he joined his architect son in as partner and vice president in 1965. Dion has carried on the firm since his father’s death in 1970, now himself for an additional 42 years. 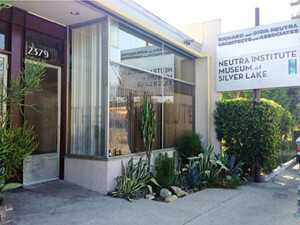 This year, 2012, we mark Richard Neutra’s 120th birthday! Earth Day, April 22 marks 42 years since the first Earth Day was celebrated on April 22, 1970, just a week after Neutra’s death. He would have been so proud! The Institute is sponsoring ‘The Neutra 4k-8k run-walk for HEALTH’ on Sunday, April 22, 2012. Your participation and/or purchase of any of the events of this day, aggregating $50 or more, will entitle you to a year’s membership in the Institute. Thank you for your continued support of the Neutra Institute for Survival Through Design. All proceeds will go towards causes of preservation**. Volunteer Opportunities: Click here to learn how you can become involved. When: Sunday, April 22nd, Earth Day 2012! Silver Lake Meadow across from the Richard and Dion Neutra VDL Research House II, 2300 Silver Lake Blvd. Los Angeles, California. Route: Circumnavigate counter-clockwise, around Silver Lake Reservoir on the paths. Included in Fee: Neutra 8K-4K Run-Walk for Health Commemorative PIN, entry to Award and Closing ceremony. **This being a charitable event, your donations will be gratefully accepted as such even in the event of rain or if for other reasons the events can not happen as hoped for. There can be no refunds. We need at least 75 volunteers for Sunday, April 22 for various parts of that day and into the evening. Use the email link below to send your resume if you have one, to the Institute, specifying how much time you can contribute. If you’re limited to morning, afternoon, or evening, specify that so we can organize and get back to you. Email: Naruki Nagata for more information. As we pass days 100+, I’m told the house still stands and will continue to do so, but that the owners are very secretive and do not wish to share further plans. I’ve not been asked to participate thus far, other than to be patient. I worry about roof leaks in this season. They certainly bought the right site for this! Sign the petition today to show your support for this redesign of the ‘Crosswalk Crime’ that has been visited upon the VDL House; City Monument #640 at 2300 Silver Lake Blvd.